In this third post in our Advanced 3D printing materials review series, we are going to have a look at a very special kind of ABS: ABS+ from Trideus. 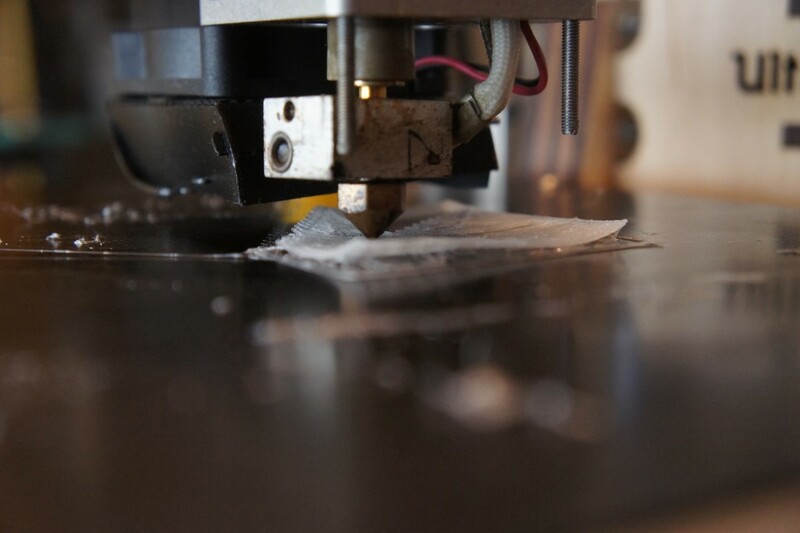 If you have ever printed with ABS before, you’ll certainly know that ABS can be a tricky material to work with. It tends to warp and crack… ABS+ is marketed as being ‘low-warp’ and a lot easier to use. Enough reason to put it to the test! Trideus BVBA is a Belgian based 3D printer and materials reseller, which also markets a special line of high quality 3D printer filaments under the tradename of “ICE filaments”. While you may not have heard of Trideus yet, we nevertheless invite you to check out their online shop which boasts an impressive number of 3D printers and an even more impressive offer of 3D printing filament with over 200 different types to choose from. The spool of ABS+ they graciously put at our disposal for testing is a specially formulated, extra strong, low warp ABS. According to Trideus, it has specially been designed to address the biggest problem you face when printing with standard ABS: warping. The roll Trideus sent us was tightly packed in a good quality carton box and vacuum sealed (together with silicagel desiccant) against moisture. 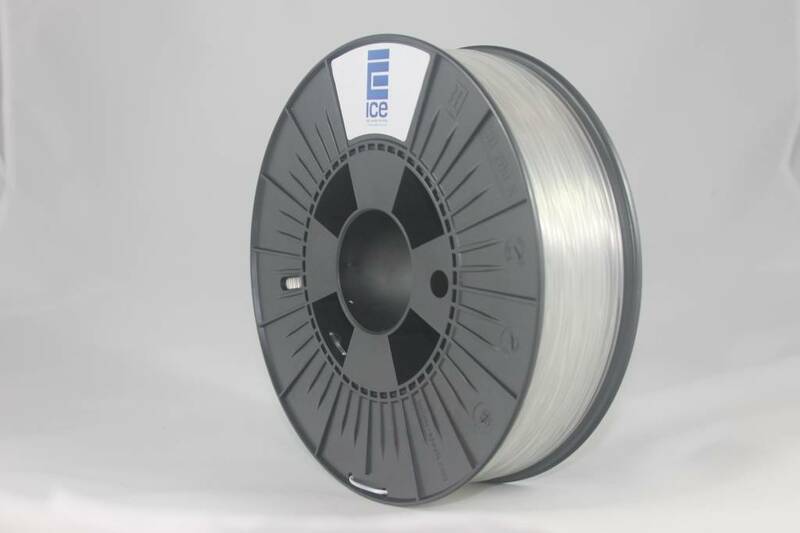 The roll itself is clearly marked on one side as a product from the brand “Ice filament” and on the opposite side has a label identifying the filament as “ABS+ Cunning clear”, its weight (750gr), the filament diameter (2,85mm) and the recommended manufacturer extrusion temps (220-260°C). Immediate praise goes to Trideus which, with this clear and intelligible labeling, makes your life so much easier, especially if you work with a lot of spools. I still don’t understand why manufacturer’s keep labeling the packaging plastic you normally dispose of, thereby leaving you with an unmarked, unbranded roll and no extrusion temperature indications. I started out measuring the diameter consistency of the ABS+ with my calipers on various lenghts of the filament. According to Trideus’ ABS+ specification sheet, the 2,85mm variant does not exhibit tolerances of more then 0,1mm over the whole spool, which my measurements confirmed. While loading the ABS+ into our Ultimaker Original, I noticed however that the filament itself is a little brittle. I actually broke a small piece when I pushed it a bit harder into the extruder (it had problems getting into the Bowden tube). But it is no worse then any standard PLA, so brittleness is not really an issue. Extruding/feeding of the filament was never an issue over all of my tests with ABS+. After hitting the print button, the pressure inside the hot-end built up quite quickly and the ABS+ started flowing smoothly around 245°C, temperature which I started out printing with. While the printer was laying down the 3 standard skirts I print to equalize pressure before printing the actual 3D object, I immediately discovered that the use of a heated print bed is mandatory. I admit that I was maybe a little bit overconfident hoping that ABS+ could be so advanced that the use of a HPB would not be necessary anymore, but we are not there yet. The test print Trideus asked us to print started warping a lot at its far edges (see photos). Don’t forget that we are printing with the Ultimaker Original, a non-enclosed printer (on a DYI carbon-fiber printbed), with the heated print bed (HPB) switched off and using an ABS derivative (even if it is a low-warp ABS+) which is always sensitive to ambient temperature as well as room temperature. But at least I have managed to print a few layers before I stopped the print – this would have been impossible with standard ABS. 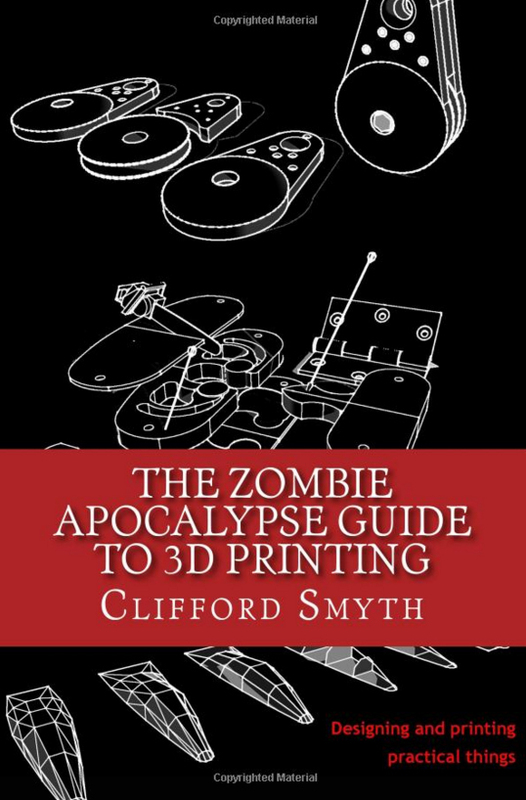 … or you’ll experience warping issues. 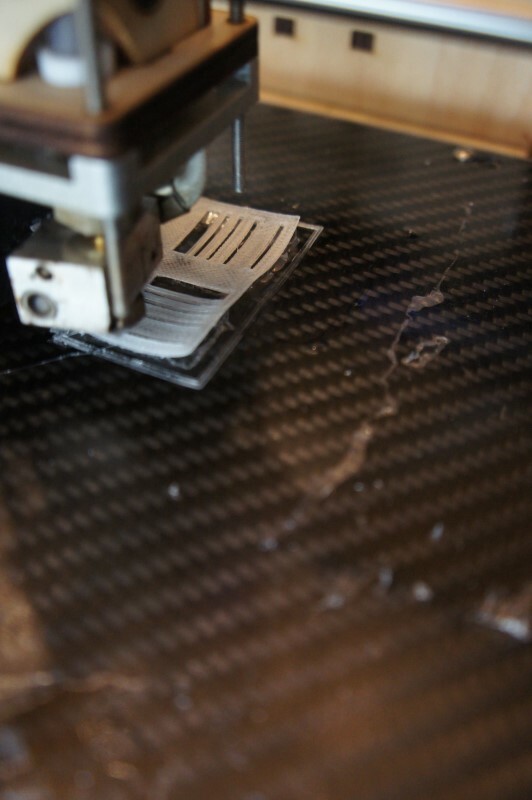 Once I switched on my DIY HPB and used a bit of glue on the carbon-fibre printbed, the first layer of the ABS+ was very easy to print and stuck extremely well to the platform. Actually, this method allowed me to print perfectly all of my ABS+ prints and I did not experience any adherence issues from here on out. Most impressively, it was possible to print with the ABS+ without experiencing warping issues. Well, close to none. 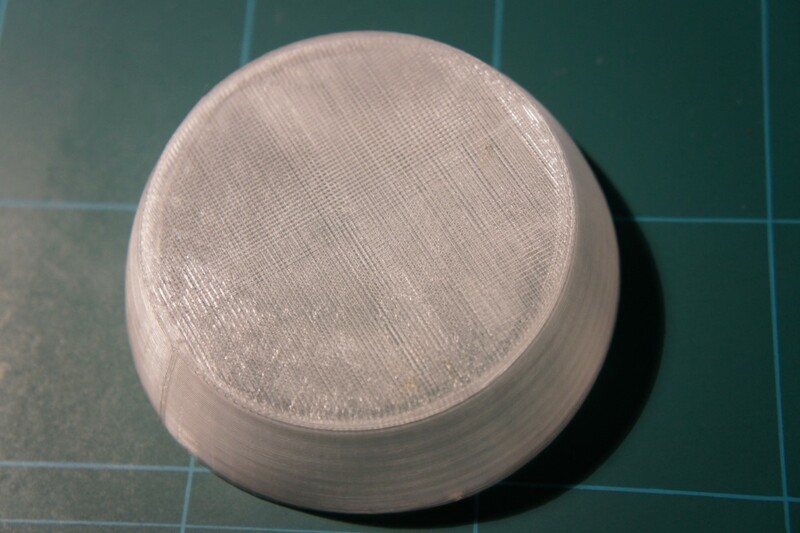 If you are very picky, you can spot very minimal warping at some corners of the test prints (see photo below). But this is hardly noticeable and I actually had problems finding a way to take a good photo in order to show it to you. Even with the bigger objects I printed (i.e. with large contact area on the printbed), I did not experience any warping issues. But what amazed me most with the ABS+ was the quality of the finished prints. This kind of ABS has an extremely high thread-to-thread bonding, resulting in very strong and sturdy parts! The finished parts printed with the “Cunning clear ABS+” are, depending on your infill setting, translucent (but not transparent) or “natural clear” (i.e. milky whitish) and have a very smooth finish. In weight, sturdiness and finish, they actually present the properties of a nylon print! 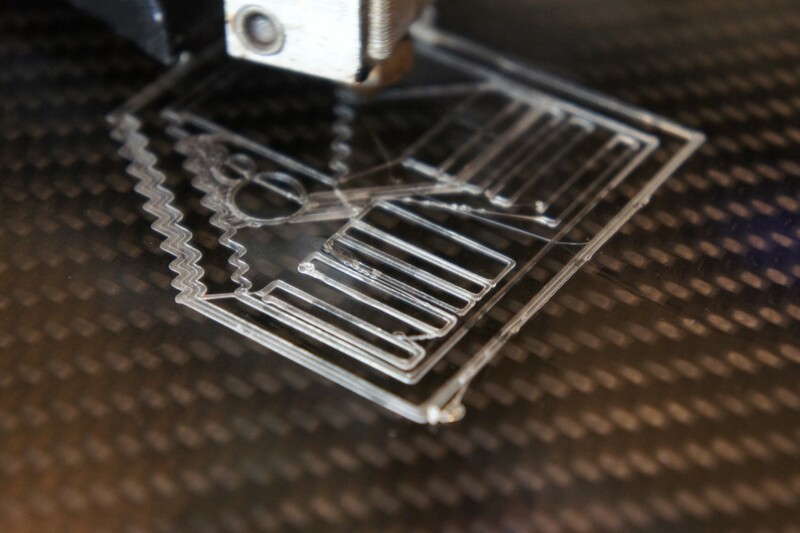 For instance, I used the ABS+ to print a desiccant box, which I needed for another article. The problem with such a slotted box generally is its overall sturdyness, or better the lack of it. The presence of those numerous slots affects directly its strength and only very high thread-to-thread bonding will achieve the necessary toughness. But, printing this box with the ABS+ produced a very resistant and effective desiccant container which I am using on a very regular basis for protecting my filament from moisture. You can read about water absorption from ambient air and a neat storage solution for all you filament in this article. On to the test prints: my test print number one with ABS+ was printed with a 100% infill at 0,2mm resolution at 40mm/s, with retraction on, while for test print number two I used a resolution of 0.1mm and 10% infill and no retraction (to test stringing). My control print in standard ABS (white) was printed with the same values, i.e. resolution of 0.1mm, 100% infill and no retraction. As with any ABS, I printed everything without fans. You immediately notice that the ABS+ is not stringing a lot, if you compare test print number one to number two. When it comes to overhangs, the ABS+ also scored a lot better than the standard ABS. Just check out the photos to see what I am talking about. It is obvious that the ABS+ seems to cool off a lot better than standard ABS, which does not only affect warping and stringing, but also positively affects its overhang properties. The only problem I noticed with the ABS+ is that it sometimes produces a lot of very small beads, especially if you are printing on low resolutions and higher speeds. The other pieces I printed in ABS+ with a higher resolution and/or at lower speeds however are so smooth that you could think they were moulded and not 3D printed. Some beading also seems to stem from the printed objects geometry. But the ABS+ is very easily sanded or otherwise post-processed, so this minmal beading was no real issue for me. In general, printing with ABS+ proved to be hasslefree, as opposed to standard ABS which can be a real pain. ABS+ only emits a very faint odor, contrary to the stronger smell of standard ABS. 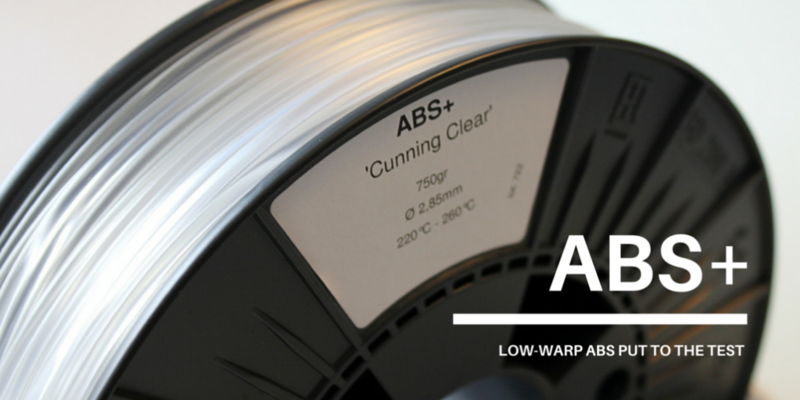 Moreover, the “Cunning clear ABS+” from Trideus meets the label of high quality filament. I never experienced any nozzle clogs, so the material is clean and I did not detect air bubbles or deformities in the filaments diameter over my whole test period. Changing the ABS+ out is an easy operation, but I recommend that you do flush the remaining ABS+ in the hot-end by heating it to 255°C and extruding at least 80mm of the filament your intend to print with. The one thing which struck me is that ABS+ seems to be a little more prone to water absorption than your standard ABS. Actually, it took me quite some time to do the tests and write up the present review (my apologies to Trideus about that) and I had the ABS+ lying around without storing it in a vacuum bag, as I normally do. Normally, ABS does absorp a bit of water from the surrounding air molecules, but ABS (like PET) is among the filaments least affected by this problem. But it appeared to me while I did some more test prints that the ABS+ presented some of the common problems of water saturated filaments, especially that it made a few small bubbles at the hot-end when I tried printing with it again. This could also explain the brittleness issue. So I oven-cured the filament which solved the problem. Unfortunately, neither Trideus nor Ice Filaments are publishing the “Glass transition temperature” in the specification sheet of the ABS+, so I used the same value as for standard ABS, which is around 100°C. My guess is that, as ABS+ is actually extruded at a bit higher temperatures than standard ABS that its glass transition temp is also a bit higher. But I didn’t want to take the risk to ruin the spool, so I simply put it into my convection oven at around 80°C for an hour. I checked it every 15 minutes to verify that the filament was not fusing. After 60 minutes, I put the oven temp at 60°C and let it bake for 30 more minutes. 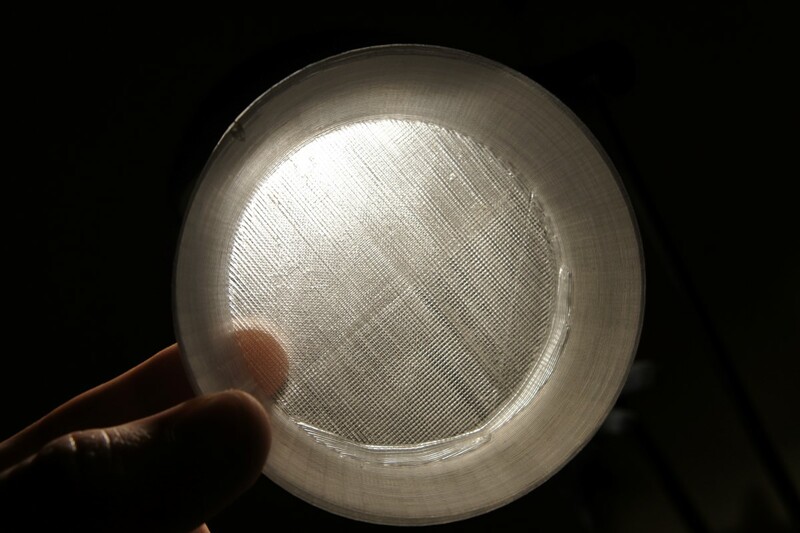 The so-dried filament printed without glitches from thereon out. All in all, I consider that ABS+ has become my new favourite ABS type. Apart the few minor problems I noticed above, there is no serious issue to be raised. Compared to printing with standard ABS, this new ABS+ is the smarter solution. It is warp-free, doesn’t smell and generates highly detailed, high strength parts for an acceptable price of 29 EUR (33 $). Do you have experience with low-warp ABS which you would like to share? 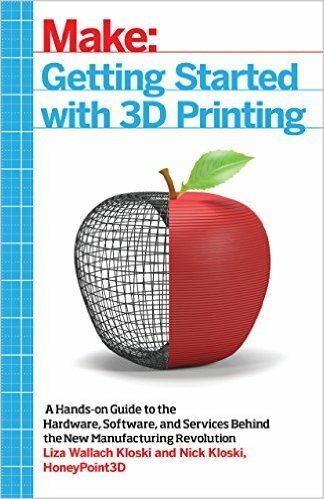 Did you print any objects with this filament you would like to publish? Let us know by leaving a comment below.